Gorgeous fjords, breathtaking mountains, serene lakes, gleaming glaciers, and thundering waterfalls…this is Norway, and on this Scenic Norway tour, you’ll experience Norway’s exciting cities and spectacular scenery. Visit Geirangerfjord, a UNESCO World Heritage Site surrounded by majestic mountains, gorgeous waterfalls, and lush, green vegetation. Here, Globus has arranged a very special experience for you. You’ll travel above the tree line to 5,000 feet for breathtaking panoramic views of the fjord and the surrounding peaks from the mountaintop lookout. While here, you’ll taste aquavit, Norway’s most traditional Christmas schnapps. Another tour highlight is a 1-hour cruise past the famous “Seven Sisters,” the most photographed waterfalls in Geirangerfjord. You’ll also visit Sognefjord, Norway’s longest fjord, with its Nærøyfjord, a UNESCO World Heritage Site. 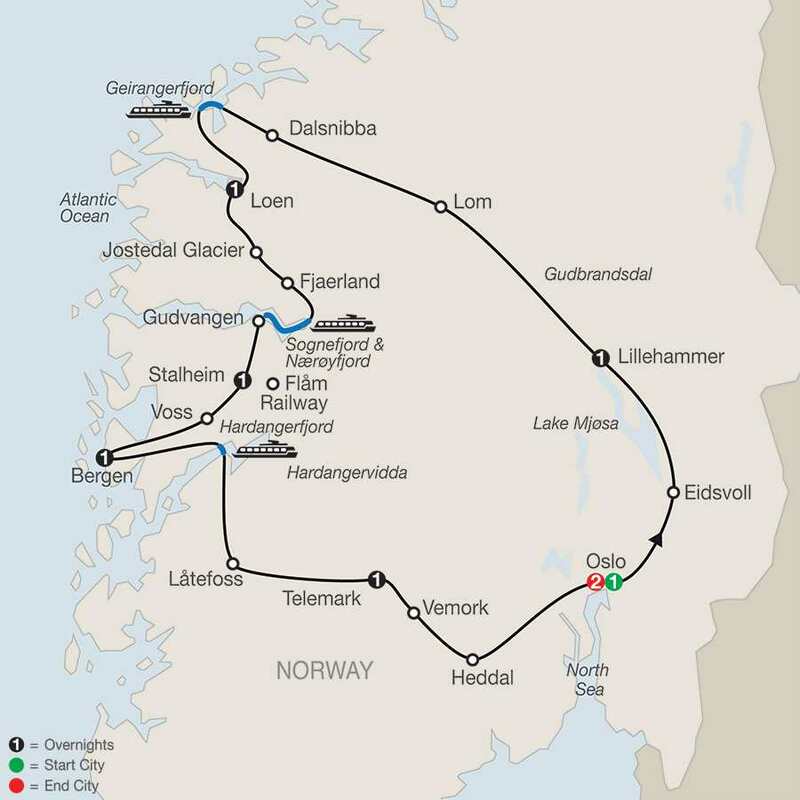 Here, enjoy a 2-hour cruise on both fjords and a stop to see one of the mighty tongues that radiate from Jostedal Glacier, Europe’s largest glacier. But that’s not all…you’ll also spend time in the Hardangerfjord region, where you’ll stop at thundering Låtefoss waterfall, one of Norway’s best known waterfalls; take a ferry; and see Hardangervidda mountain plateau, one of Europe’s largest and home to Northern Europe’s largest stock of reindeer. In this area, you’ll also taste apple cider from a family-owned farm, where you’ll meet the family and hear about their history and how cider is made—a special experience offered by Globus. In addition to the spectacular scenery, you’ll also experience Norway’s cities. In Oslo, guided sightseeing includes the famous Frogner Park with over 200 extraordinary bronze and granite sculptures. In Bergen, you’ll hear about the city’s 11th-century origins on your orientation tour. In the Telemark region, visit the Heddal stave church, the largest of Norway’s remaining medieval wooden churches. Start your tour of the land of fjords, lakes, mountains, thundering waterfalls, and gleaming glaciers with a picture stop at Eidsvoll, where the country’s democratic constitution was signed in 1814. Then, proceed along lovely Lake Mjøsa to Lillehammer, proud host of the 1994 Winter Olympics. 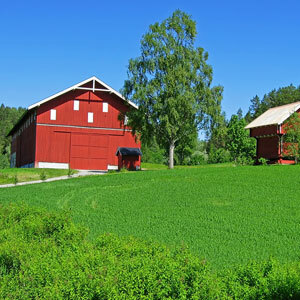 Enjoy a guided walking tour of the unique MAIHAUGEN OPEN-AIR MUSEUM, followed by a light lunch. Drive through the wide Gudbrandsdal Valley, the lush dairy and timber land of Ibsen’s drama, Peer Gynt. Take pictures of the lonely stave church of Lom, then, climb above the tree line to 5,000 feet for a breathtaking panoramic view from the Dalsnibba lookout above Geirangerfjord, and taste aquavit, the most traditional Christmas schnapps in Norway. A leisurely one-hour CRUISE past the famous “Seven Sisters” cascade is next. Dock at Hellesylt and head south via Lake Hornindal to peaceful Loen. Follow the shoreline of the innermost branch of Nordfjord, then cross the mountains to the serene Våtedalen Valley and pristine Lake Jølster. The mountain scenery gets more rugged as you approach the tunnel underneath Jostedalsbreen, Europe’s largest glacier. Stop to see one of the mighty tongues that radiate from Jostedal Glacier into the surrounding valleys. Next, visit Fjaerland’s excellent NORWEGIAN GLACIER MUSEUM and watch a thrilling 5-screen film. In the afternoon, enjoy a 2-hour CRUISE on spectacular Sognefjord and Nærøyfjord. Land at Gudvangen and continue to Stalheim, high above the majestic Nærøydal Valley. This morning, you may wish to join an exciting optional Flam train ride. Then, leave Stalheim and see the popular lakeside resort of Voss on your way to pretty Bergen. During your orientation tour, hear about its 11th-century origins and its association with the Hanseatic League. Stroll through the colorful fish market and the narrow lanes of ancient Bryggen. Meet the family that has owned the Steinstø farm for eight generations. While you taste their APPLE CIDER, they will tell you all about their history and how cider is made. Then, cross Hardangerfjord by FERRY and drive through the orchards along Sørfjorden, whose tranquil splendor inspired Grieg’s Morning Mood. More scenic delights: thundering Låtefoss and the wild Hardangervidda mountain plateau, where Fridtjof Nansen prepared for his polar expeditions. Next is rustic, unspoiled Telemark. Focus on VEMORK, scene of the daring sabotage action celebrated in The Heroes of Telemark and recently registered as a UNESCO World Heritage Site. Learn all about the dramatic events of 1943 from your Local Guide, and also gain an insight into the technology of hydroelectric power generation, one of the pillars of Norway’s economy. Leave the narrow Rjukan Valley via Lake Tinnsjø, where saboteurs sank a ferry loaded with heavy water, dashing Nazi hopes of winning the race for the atomic bomb. Before returning to Oslo in the afternoon, admire the HEDDAL STAVE CHURCH, the largest of the country’s remaining medieval wooden churches. Sightseeing with a Local Guide features the National Theater, Parliament, and the Royal Palace. Stroll through magnificent FROGNER PARK with Gustav Vigeland’s 200-plus extraordinary bronze and granite sculptures and visit the modern CITY HALL. 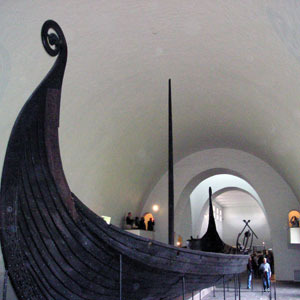 In the afternoon, an optional excursion to see relics of Norway’s glorious seafaring past is available. Tonight, celebrate the success of your journey with a farewell dinner at your hotel. Certain mountain roads normally used for this vacation might be blocked by snow early and late in the season. If so, your Tour Director and driver will select a different route. Traditional Inn dating from 1885, located in scenic mountain area on E16 overlooking Naeroe Valley. The Rauland Hogfjellshotell recreational facilities include swimming pool, gym, sauna and steam sauna and a mountain SPA. The restaurant Falkeriset serves tempting dishes based on the European cuisine. *Book a 2017 Globus or Cosmos air-inclusive Europe vacation of 6 nights or more with Delta/Air France/KLM/Alitalia/Virgin Atlantic in economy class from a US point of origin to receive the $150 per person Air Credit. Must be booked, under deposit and discount applied between June 22 and September 13, 2016 for travel between January 1 and May 31, 2017; not applicable to instant purchase air; not combinable with any other offer except Early Booking Discount and Journeys Club Repeat Traveler benefit, Air must be purchased through Globus in conjunction with a Europe vacation. Discount will apply to the per person air price and is non-transferable. An additional $300 non-refundable deposit is required for air booked in conjunction with a land vacation. Once ticketed, airline reservations subject to change/cancellation penalties of between $300 per ticket and 100% of ticket price; Frequent Flyer Mileage is applicable, and accrued based on program rules; stopovers not permitted. Promotional discounts do not carry forward on changed air bookings however other promotions at time of change may be available. Once airfare is confirmed and we have received your full air and land deposit, your air-inclusive price is guaranteed. We reserve the right to ticket passengers upon receipt of full land and air deposit. Additional airline fees for baggage may apply; visit http://www.iflybags.com for more details. Availability of promotional prices are limited and may be restricted to specific flights, class of service, travel dates or, length of stay. Additional restrictions apply; see Travel Terms & Conditions for details. Air tickets are non-commissionable. Offer may be withdrawn at any time. CST#2017032-20.